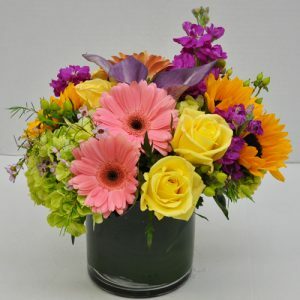 Our leaf lined cylinder filled with roses, mini callas, hydrangea,sunflowers, gerbera and stock. 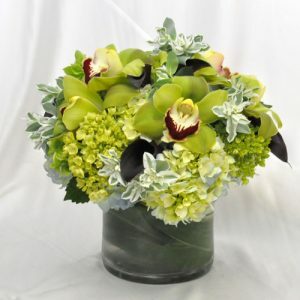 Our leaf lined cylinder with blue and green hydrangea and greencymbidiums. 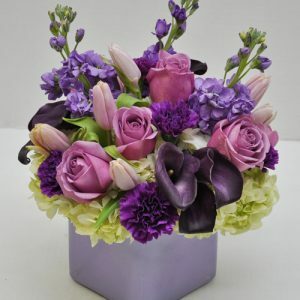 Our lavender cube filled with light and dark shade of purples. 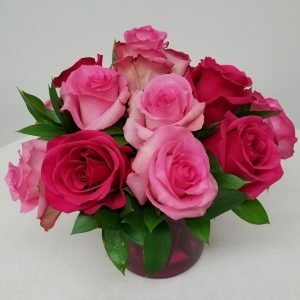 Roses,mini callas, stock, floragene carnations and a hydrangea base are highlighted in this piece. 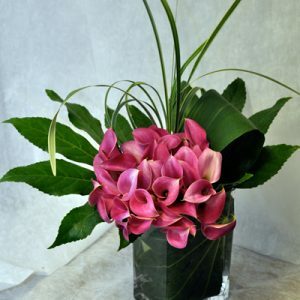 Our leaf lined square filled with 40 stems, yes 40 stems of pinkmini callas, tropical foliage and grasses. 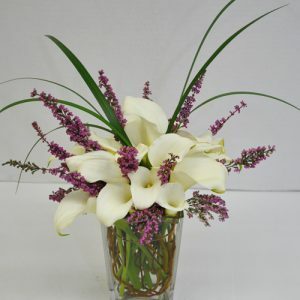 – A classic arrangement in a tall cube filled with white mini callas,purple filler, greens and curly willow. 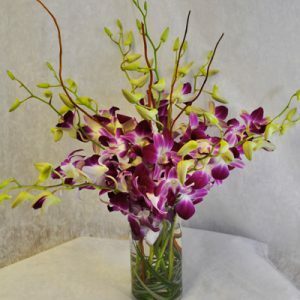 Our cylinder vase filled with purple dendrobium orchids, curly willowand accented with lily grass. D’Angelo’s has their famous # 9 sub which is their most popular ontheir menu and our favorite. 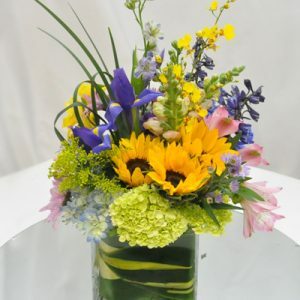 Well, this leaf lined cube filled with hydrangea, orchids, sunflowers, iris andalstro has been our most popular arrangement for the last 4 years in a row! 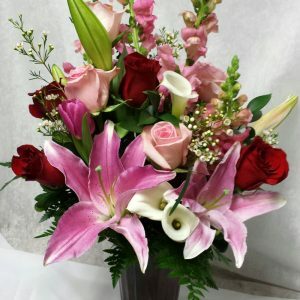 Our red roman column vase filled with red and pink roses, pink lilies,snap dragon, mini callas, filler and greens. 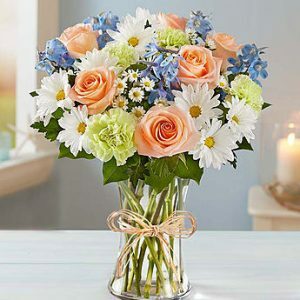 One of our most popular arrangements in the romancecategory. 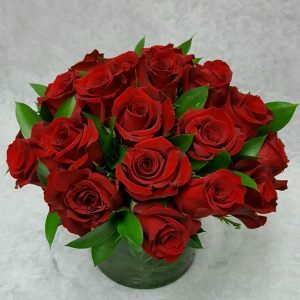 Makes a great impression and lets that someone special know that you are thinking of them. 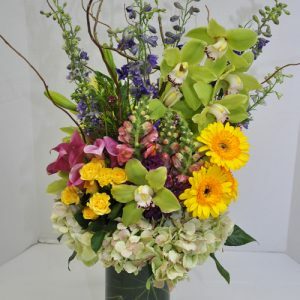 A beautiful mix of gerbera, cymbidium orchids, hydrangea, snapdragon, larkspur and mini callas in our tall leaf lined cylinder.